I put out an open request on Twitter for people to tell me what about Blythe makes them happy and it’s amazing the kind of responses that I got. I’ve included below every single tweet that I got (if I didn’t include yours, it may be because your Twitter account is private and I was unable to read it). I also received some responses via Flickr, so those are linked to the Flickr accounts instead, and some are also linked to blog links as well. 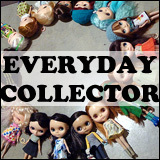 I guess I like Blythe because I’ve always liked miniatures. Seeing the cute little outfits that people dress her in makes me drool with envy. I like the way people are so creative with needle and thread, needle and yarn and enjoy doing the same. Blythe has been extremely therapeutic for me. Maybe it wasn’t a coincidence that she came in to my life in the aftermath of a falling out with my long-time, and only, girl-friend. I haven’t been close to anyone like that since, but blythe has helped fill in that gap, in a very unique way. 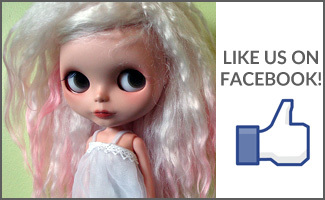 What makes Blythe special to you? 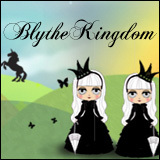 Question of the Week: How has Blythe changed your life? I forgot to respond…I’m not the best with Twitter. Haha! I am happy just looking at blythe! When I am in a bad mood or having a bad day, or even just going through a day on auto pilot, the sight of any of my girls brings a smile to my face and a little happy surge to my heart.